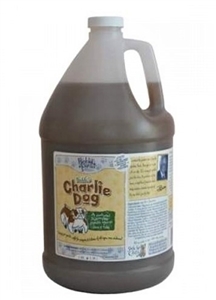 All-natural Bobbi Panter Charlie Dog Shampoo kills fleas and ticks without the use of harsh chemicals, leaving pets smelling clean and feeling fantastic. Made in the USA. Dilutes 25:1.
in 10 oz and Gallon sizes.